The Bar Poker Open Master’s Tournament is a brand new and exclusive tournament for those talented enough to win multiple seats online. Once a player achieves more than 2 seats during the period of June 17th – October 1st, that 3rd seat becomes a “Master’s Ticket” and every Master’s Ticket won above and beyond that becomes a rebuy/add-on in this championship event. We expect the field in this tournament to be less than 20 players. The prize in this event, with an expected field of less than 20 players, is a “Bye” into Day 2 of the $100,000 East Coast Championship. By winning this bye, you will already be “in the money” with an average stack of 250,000, and you will by-pass 90% of the field for the $100,000 Total Payout! Automatically added to invite list once you hit 3 won seats during the season! We will be dispersing players 500 tokens after 9AM on the day of the event for every additional seat you won, more than 3. These tokens will be removed from your account, if they are not used, and you will be credited back the “seats” you did not use. The Winner of this event will Win a “Bye” into Day 2 of the $100,000 East Coast Championship with an average chip stack (250,000 chips). This will allow the player to get past 90% of the field and instantly “in the money” during Day 2. Winner may still compete in Day 1A and/or Day 1B for a larger stack. If player bags chips greater in value than the 250,000 average stack during any Day1, they will start Day 2 with the larger stack. This prize is non-transferrable, has no cash value, and can only be used for the $100,000 East Coast Championship on October 26 – 29th, 2018. Please do not play in this event if you cannot make the tournament, you have nothing to gain and you would only be taking a prize from someone who plans to attend. Masters Tournament Invite earned before the East Coast Championship may be used for the East Coast Masters Tournament or saved for the Vegas National Championship Masters Tournament. Masters Tickets earned after the East Coast Championship must be used for the Vegas National Championship Masters Tournament or they will expire. With a full year season and easier qualification, we do expect the Vegas Master’s to have a larger turn-out than the ECC Masters. 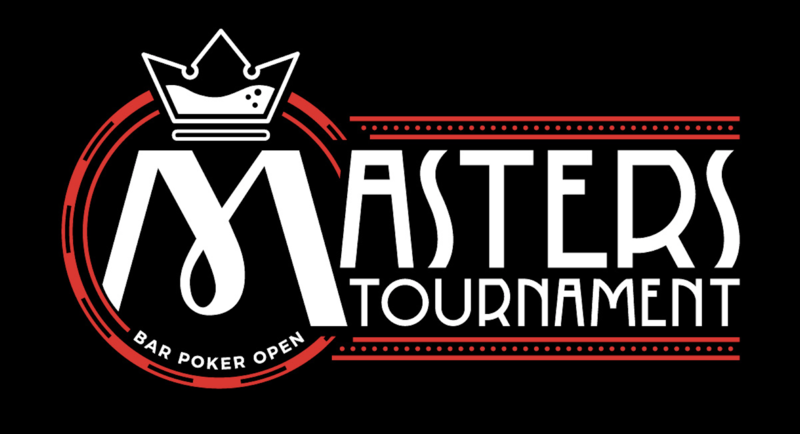 Players with a remaining balance of 2 or more Seats Won after the East Coast Championship will be invited to play in the next Bar Poker Open Masters Tournament. The expected date of this tournament will be in May 2019 and we expect to have a larger tournament field of 40 – 60 players. Player Wins 1 Seat June 2018 – October 2018, who did not use the seat at the East Coast Championship, will only need to win 1 more seat during October 2018 – May 2018 season. Player Wins 2 Seats June 2018 – October 2018, who did not use either seat at the East Coast Championship, will be eligible for the 2018 Masters because your balance is “2”. Player that Wins 2 Seats after the East Coast Championship, will be able to use the extra seat for the BPO Masters. Player that wins 3 Seats and plays in the East Coast Championship Masters but does not go to the East Coast Championship will be eligible for Vegas Masters because your balance would be “2”.